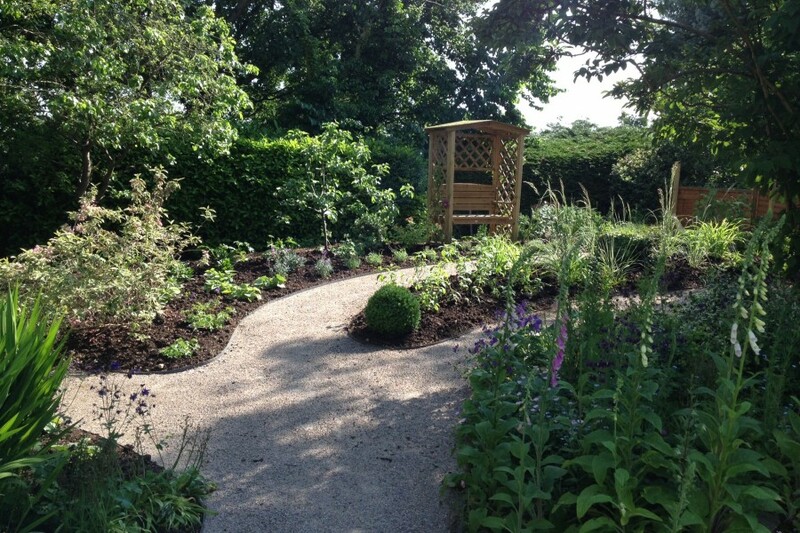 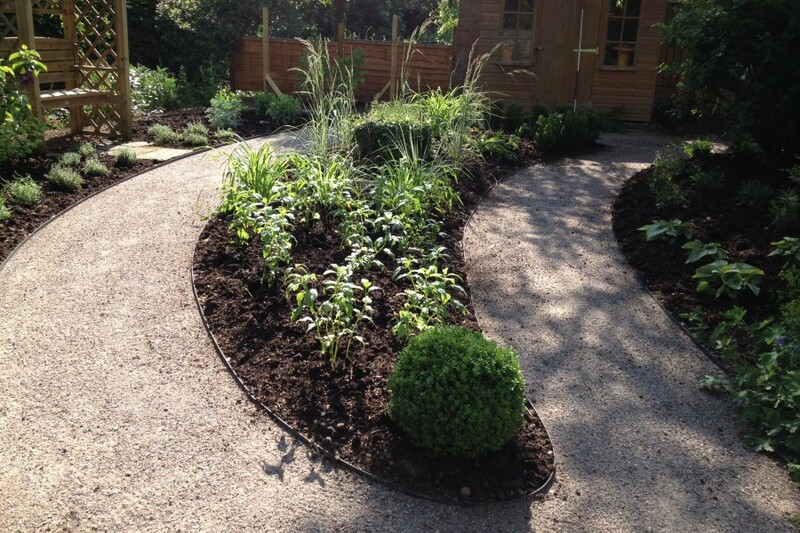 Two paths were added to create a crescent shaped bed. 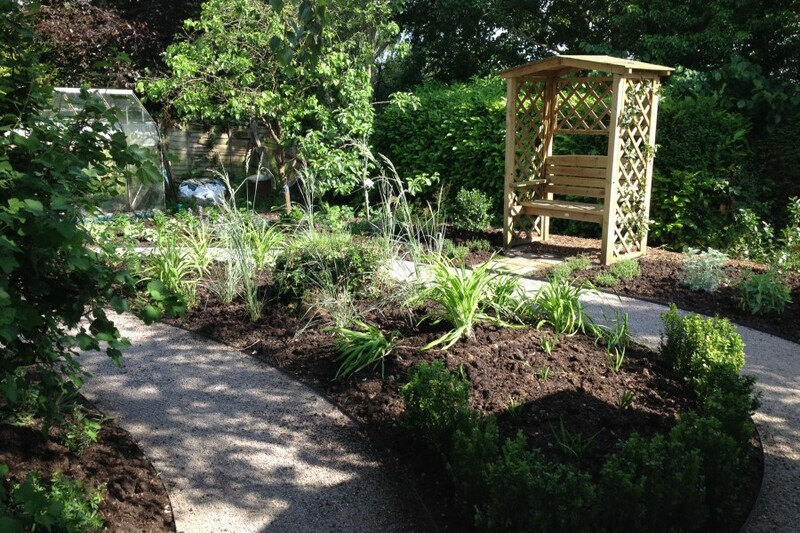 A seat was added to make a focal point at the far end of the garden and to sit and enjoy the planting. 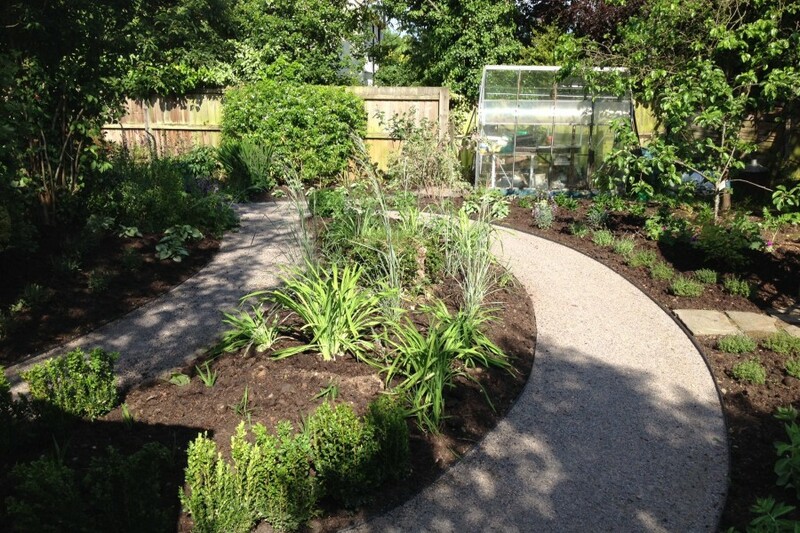 Paths were created using Cedec path gravel edged with metal edging. 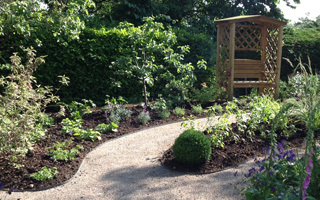 Two fruit trees were retained and under planted with herbaceous perennials. 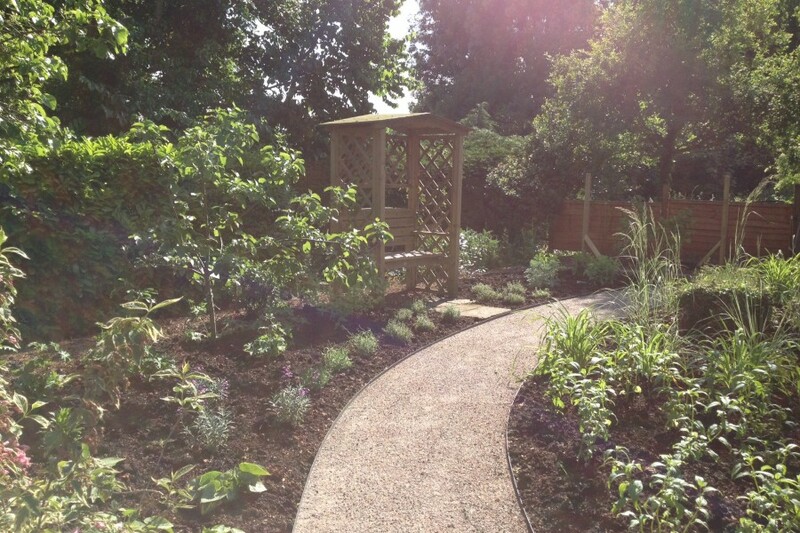 A focal point created by adding seating at the far end of the garden. 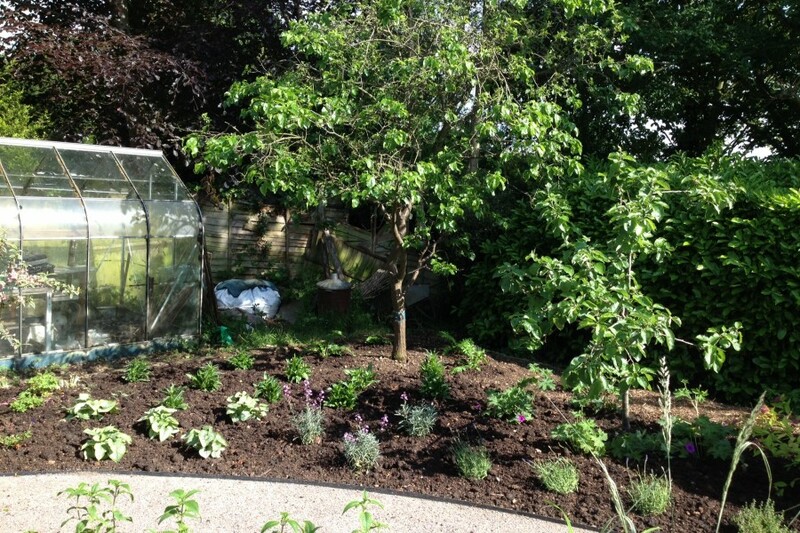 Fruit trees retained and under planted.